Written by Buildington on Thursday, 7 February 2019 . Posted in Offices. 68% of all office developments and extensive refurbishments set to complete in London’s West End in 2019 have already pre-let, reports Savills in the latest research. 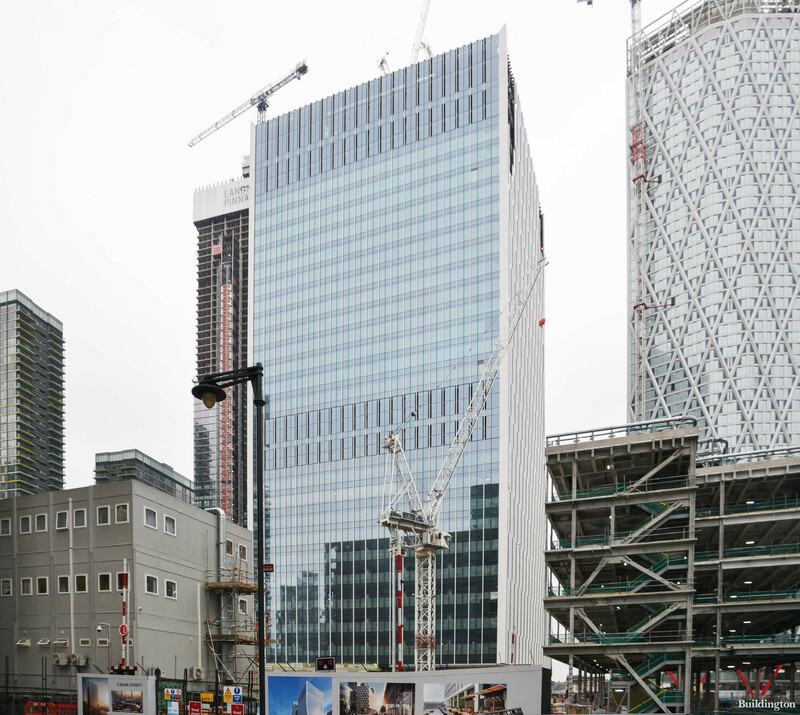 One Bank Street in Canary Wharf is due to complete in 2019. Only three schemes have enough speculative space to accommodate a requirement over 100,000 sq ft. The key transactions in 2018 were Facebook’s pre-letting of 615,000 sq ft at 21 Canal Walk in Kings Cross, WeWork’s pre-let of Aviation House 131,818 sq ft and Sony Pictures at the Brunel Building 77,200 sq ft.
Hunter Booth, co-head of the West End office agency team at Savills, commented: “In a market increasingly reliant on pre-lets to satisfy demand, the West End continues to prevail despite the background political headwinds and uncertainty. The occupiers operating in our market are making office commitments based on corporate decisions and a supply/ demand imbalance that appears to override any wider uncertainty on Britain’s decision to leave the EU. In many ways it remains business as usual and this sentiment is already apparent in the first month of 2019, with a good level of requirements and deals continuing to happen. While we are not seeing much rental growth in the West End, which could appear counter-intuitive to market fundamentals, this can partially be explained by the now-expected footloose nature of tenants across Central London meaning landlords are competing with a wider range of competing buildings than ever before. See also: List London office developments completing in 2019.